– Puddle of viscous red/brown oil underneath the washer. If your washer has any of the above, then your washer’s transmission may be FUBAR. You need to either replace the transmission in this machine or buy a new washer. BTW, now is a good time to think about buying a new washer. Ahh, well said, my young grasshoppah; I couldn’t have asked a better question myself. According to Proto Grand Master Musashi, in the true strategy of Fixite Do, you learn to perceive that which you cannot understand or comprehend. In the words of Master Musashi, “By knowing things that exist, you can know that which does not exist.” Accordingly, I perceive that the money you now have in your bank account will no longer exist after you waste your time and cash fixing this pig. OK, let’s light this candle. – Basic disassembly help here. Now, I turn you over to my brother in The Craft and recent Appliantology 3000® microchip implantee, Jedi Appliance Guy. The Jedi has created a very detailed step-by-step photo album on Flickr showing him executing this repair with his legendary finesse (including some patented Jedi-exclusive techniques). And many of the photos are annotated with pearls of enlightenment. So, to get the best overview of the Hell you’re in for should you decide to take on this repair– due to a dietary deficiency of Vitamin C, or something– start with this first photo in the set and then click through each one. That way, you can read the helpful notes and comments. 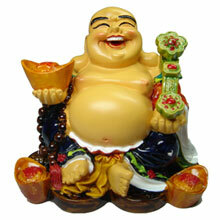 And may the pot-bellied, bald-headed Buddha grin down on yo’ ace. This entry was posted in Washer Repair on November 26, 2007 by Samurai Appliance Repair Man.